Don't expect anything new, if you don't do anything new. 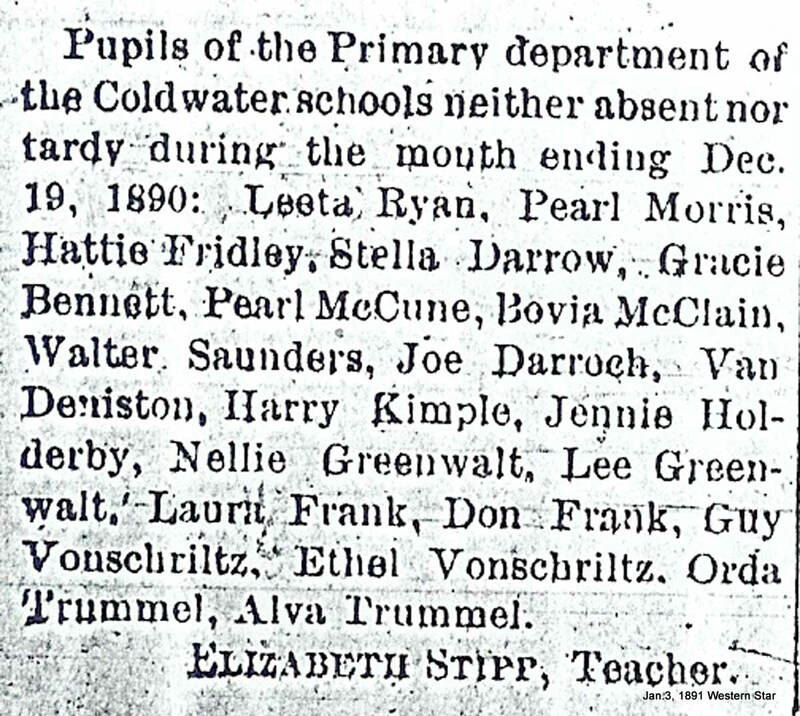 Of course the school existed, but I couldn't find any information until I started researching the people. I started with the teacher, and then, researched some townspeople. So much was found. You've been searching for information on a missing school (cemetery, plot of land, the noun is not important). 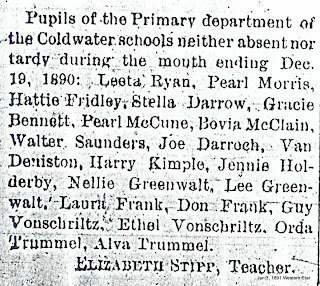 But after searching the town history at the local genealogy society's library, exhausted newspaper searches of the school name, visited the local museum that confirms the settlement began with a post office, school, and two roads, nothing else can be found on the school. Find townspeople to help you. Not the living ones, the ones who were around at the time. Yes...they are deceased. No names? Well let's find some. I usually pull the town map and area plats first. An easy way to find names is to look at the town plat plus it will put the school, cemetery in perspective to your ancestors. The school should be specified on the map, but it may not be. If not, take note of the persons who own the most land, they are probably your town leaders. Just a hunch. Do a few quick searches on the landowners in newspapers and town minutes. You may have to do annual analysis of the town plats until you find the plot where the school resided. The idea is to find school information through the townspeople. Stop searching by the school name! 1) Where did the land come from for the school? Was it purchased by an individual, set aside by the town leaders? Why not research the early land plats and deeds to see if the land was parceled or gifted? Who lived around the school? The key is to get names! 2) Verify early students and teachers. Keep in mind that historically, teachers were as young as 14 years old. Here you are going to read obits and social clips for school references. Early newspapers even reported attendance, so you can get an idea of the student body size. 3) Who were the town's leaders at the time? Aldermen and city council minutes can be a gold mine. Remember, you can substitute school with any noun. The same research principles apply. So often, I hear people get so frustrated about hitting walls in research. Sometimes you can't do your research in your jammies. You have to go pound the pavement for some answers. Excellent post! Excellent process! It does work on many brick walls. We really enjoy and appreciate the reminders and new ideas for research.